Opioids are effective at relieving pain, but unfortunately, they are extremely addictive and often lead to overdoses and the use of stronger (and more dangerous) illicit drugs. The causes of the opioid epidemic are complex, but one approach to combating it is to seek relief in the courts by going directly after the opioid makers. 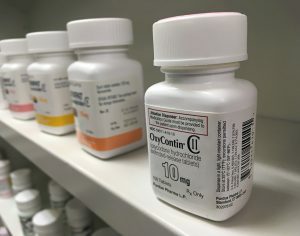 Both individuals and local governments have sued the pharmaceutical companies under a variety of legal theories, although they are often based on the idea that the makers of opioids downplayed the risks of opioids while exaggerating their benefits. These lawsuits are in new legal territory, but parallel some of the earlier lawsuits where states sued Big Tobacco and firearms manufacturers for the number of deaths and the financial toll their products were taking on the general population and state budgets. If the opioid lawsuits have the same ending as the lawsuits against cigarette companies, states and municipalities may be able to help pay for fighting and treating the opioid crisis. For example, when the lawsuit against Big Tobacco settled, it resulted in the largest civil settlement in history, amounting to tens of billions of dollars. Continued payments are made by cigarette companies forever to help states treat their sick citizens suffering from tobacco-related illness and disease. However, the opioid lawsuits face potential challenges that may not guarantee victory. For example, the opioid crisis has many causes, not just the pharmaceutical companies allegedly marketing their opioid products incorrectly. For example, opioid abuse is the result of doctors who are overprescribing opioids and (questionable) scientific studies incorrectly concluding opioids were non-addictive. In addition, many of the abused opioids are obtained illegally by users and prescription medication distributors often don’t halt suspicious orders for opioids. Despite these challenges, there have been early successes in the opioid litigation. For example, in 2004, the state of West Virginia settled its lawsuit against Purdue Pharma, the makers of OxyContin, for $10 million. And in 2007, Purdue Pharma agreed to pay $130 million for future civil lawsuit settlements brought by private parties, such as patients who were prescribed OxyContin. Most of these lawsuits have been brought within the past few months, so we need more time to see the direction they will take. Regardless of the outcome of these cases, the mounting pressures from the opioid crisis is starting to make a difference in other ways. For example, in June 2017, the U.S. Food and Drug Administration (FDA) asked Endo Pharmaceuticals to voluntarily pull one of its opioids, Opana ER (oxymorphone hydrochloride) from the market. The FDA made this recommendation on the basis that Opana ER was being abused in ways where the benefits from having the drug available in the market were outweighed by its risks. For example, Opana ER was being manipulated so that it could be injected. Besides the obvious addiction and overdose risks, this new method of abusing the drug created outbreaks of diseases, such as HIV and hepatitis C.
I suspect opioid lawsuits will increase dramatically over the next few years. With opioid litigation having only just begun, stay tuned to this blog for any additional updates.